Join us for our Spring Nature Program on Friday March 30th. This year we are privileged to have Eileen Delehanty Pearkes, writer for the North Columbia Monthly give a presentation. 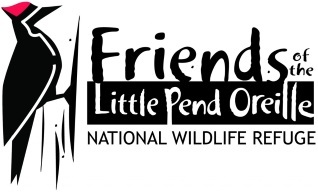 This informative evening is sponsored by the Friends of the Little Pend Oreille National Wildlife Refuge. Doors open 6:30 pm for refreshments and to view the displays in the lobby. The program starts at 7 pm. This is a free family-oriented event and door prizes will be awarded!